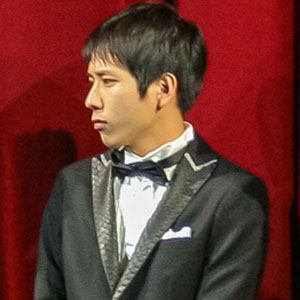 Japanese singer and actor best known as a member of boy band Arashi. He is known for his role as Private Saigo in the war film Letters from Iwo Jima. In 2011, he won a Drama Academy Award for Best Actor for his performance in Freeter, le o Kau. He was born in Tokyo and his grandfather wanted him to run the family windshield company. However, when he was 12 years old, his cousin sent in an application for him to work for the Johnny & Associates agency, and soon afterwards he was hired. He has hosted his own radio show called Bay Storm, which premiered on October 4, 2002. He is the youngest in his family and has an older sister. He co-starred with Clint Eastwood in the 2006 film, Letters from Iwo Jima.